Salal Trail, with its soft terrain and winding turns, has been called the quiet gateway to the Chuckanuts. A beautiful single-track escape from the wider Hemlock and Lost Lake trails. 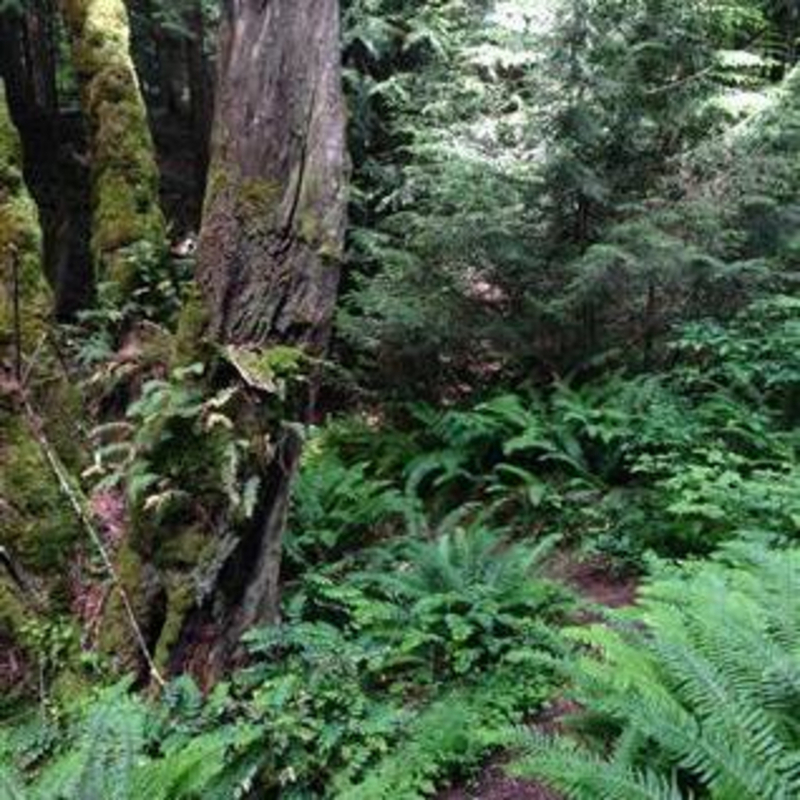 Originally built as a mountain bike trail, Salal has become widely adopted as a trail runner's paradise. Its subtle climb is an alternative to going up the North Lost Lake Trail. Very green and luscious, Salal is known to get dark in the afternoon/evenings, so it might be best as a morning adventure under all those trees. Up or down: it doesn't matter. Heck, choose both. Heading up the North Lost Lake Trail, Salal offers a a more subtle alternative to the steep and straightforward wandering of the North Lost Lake Trail. Roughly 1.5 miles long, the climb is almost enjoyable. There are two access points/entry ways: if you take the first, as advised, make sure not to get off the trail too early. Eventually, you will reach a clear fork that can send you back to the North Lost Lake Trail, or over to Madrona Crest. Runners could also choose to stay on the North Lost Lake Trail on the way up, then give their knees a break and switch things up, turning the run into a loop like the bikers do and taking Salal down. Every now and then, you'll hear Salal called, "Hush-Hush." The soft, subtle, single-track under all those trees feels like a whisper, a secret you're (nearly) reluctant to share. 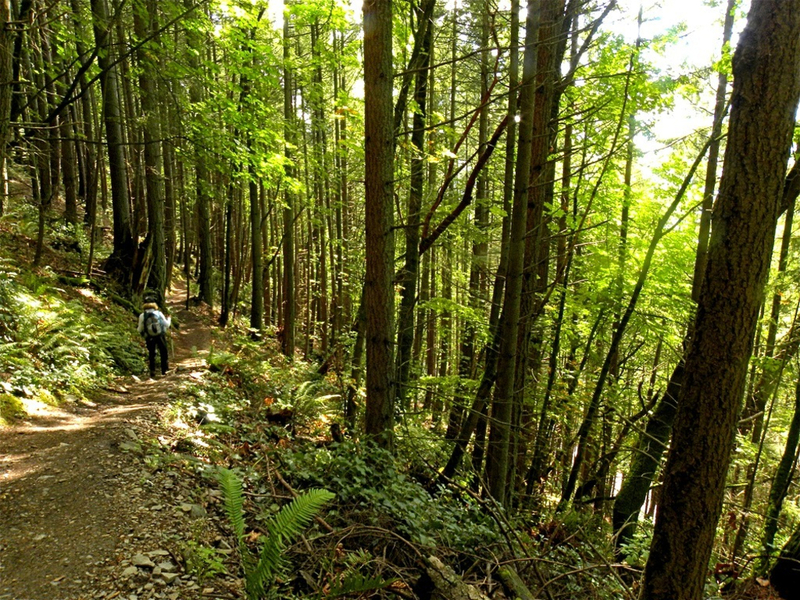 The North Chuckanut Mountain Trailhead is between Old Samish Road and California Street off of Chuckanut Drive. Heading south from Bellingham on Chuckanut Drive, it takes 5-10 minutes, and is nearly impossible to miss. Parking is free and plentiful. 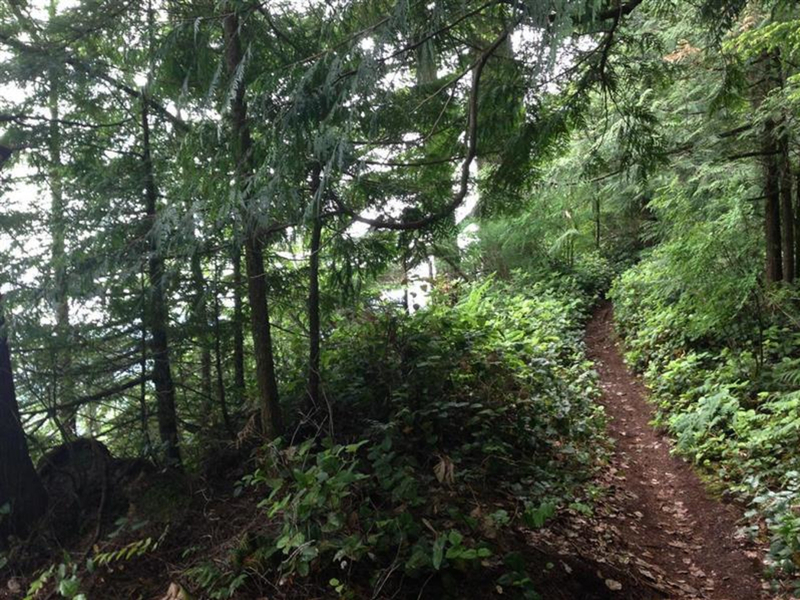 Best access is from the North Chuckanut Trailhead. Head left into Arroyo from the parking lot trail, and then up towards Hemlock/North Lost Lake. Take the North Lost Lake trail until you reach the Salal entry points. There is another parking lot if you choose to take the left onto Old Samish Road, about a quarter mile further, though this parking is limited. You might only use this trailhead if you wish to run through the other side of Arroyo Park, cross the bridge and head up...the first available left turn after crossing over the creek marks the beginning of the Hemlock/Lost Lake Trail.